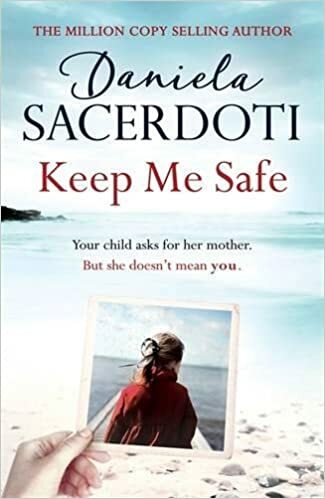 Keep Me Safe is the first in a new series from Daniela Sacerdoti and is set on the fictional Scottish Hebridean island of Seal. Having loved all her Glen Avich books I was really delighted when Frances Gough of Headline Books offered me an advance copy and smiled when I spotted a few references to characters who I knew from Glen Avich. Since I was going to a real Hebridean island, Lewis, for the school half term break I made sure I took my copy with me. Although we had amazing weather for February there was, of course, a very rainy day so I took advantage and curled up to enjoy this book. And enjoy it I most certainly did! Anna is a newly qualified nurse working in London and living with her partner, Toby, and their young daughter Ava. When Toby decides he is leaving the relationship he tells Ava while Anna is at work. Traumatised, Ava doesn’t speak for three days but when she finally does she asks Anna for her mum, her real mum. Trying to help her daughter through this, Ava discovers the place her daughter is talking about is a real place, Seal Island, and arranges to go there for a few weeks. She hopes that staying on the island will help her find clues which might explain what Ava is experiencing. Daniela Sacerdoti’s beautiful, heartfelt writing pulls you into the story and tugs at your emotions. As with the Glen Avich books, there is an element of the mystical in the story, perhaps even more so in this book. As you will no doubt have surmised, possible reincarnation is a theme in Keep Me Safe. The author is very skilled at weaving the mystical elements into the story so that, whether you believe in reincarnation or people who see spirits or not, it all seems very convincing and plausible. The island setting was just wonderful and reading it while on an island seemed particularly apt. I was a little confused at first as I thought the island was the real Seil Island which does have a bridge over the Atlantic as mentioned in the book. However, when a ferry to the island was mentioned I realised I was mistaken! The power and strength of nature and the sea is vividly described. It seemed to me that the condition of the sea mirrored the raging grief, or the calmness of the characters. The positives and negatives of an island community were also well depicted. There are few secrets in such a small community but equally there is much support for each other. Keep Me Safe is a compelling story about people who have loved and lost in different ways and who are afraid to love fully again. It’s a book about the healing power of learning to love and trust again. Daniela Sacerdoti has written another book I was completed immersed in, with characters I loved and a setting I am very much looking forward to visiting again. When Anna’s partner walks away from their relationship, she is shattered. But it is her little girl Ava who takes it hardest of all. The six year old falls silent for three days. When she does speak, her words are troubling. Ava wants to go home. To a place called Seal. 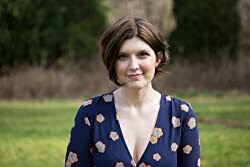 Over one million copies of Daniela Sacerdoti’s novels have been sold in eBook: her debut novel Watch Over Me was the eighth bestselling Kindle book of all time in 2015. Daniela was born and raised in Italy. She studied Classics, then lived in Scotland for fourteen years, where she married and taught in a primary school. Daniela, her husband and their two sons make their home in a tiny village in the Alps. To discover more about Daniela and her world, visit http://www.danielasacerdoti.com. I’m reading this at the moment so I haven’t read your review too closely but glad you enjoyed it. Hope you enjoy it too then.